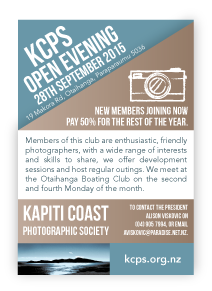 Friends, KCPS meetup members, and anyone interested in the Kapiti Coast Photographic Society are welcome to join us for an Open Evening on Monday 28 September. 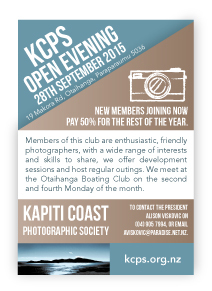 The venue is the Otaihanga Boating Club, at 7:30 pm. Note that this meeting will now consist of a series of presentation where KCPS members show some of their images and talk about their passion for photography. 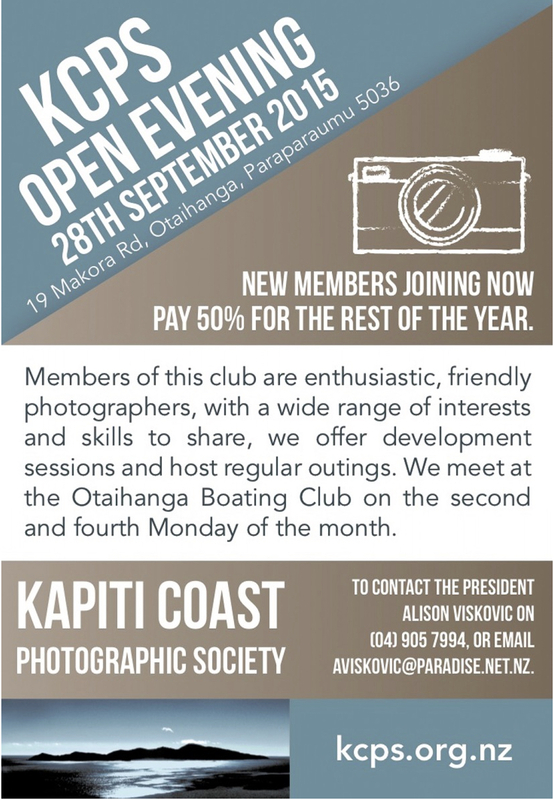 Come along and see the images we produce, get to know more about the Kapiti Coast Photographic Society, and meet our friendly members over a cuppa and supper afterwards. All welcome.